You will still argue and still have moments of total frustration. Whether it’s a friend or another partner, relationships do require effort. So be prepared before you get back into the dating game. The funny thing is that married couples think single people get all the action and are free to get all they want, anytime, anyplace – and single people think that married couples are the ones that are having all the fun. 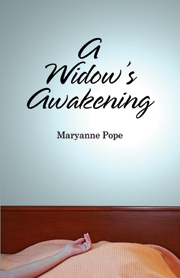 In reality, a widow often finds the hassle of sexuality the most trying in starting up another relationship. Having a loving husband made having a sexual life easy and comfortable and just because our husbands are gone doesn’t mean our sexual needs go away. Most widows are more or less terrified by the thought of dating again, especially if it’s been years and the dating rules have changed. They feel old, unattractive, unsure of themselves and fearful of the unknown. Also, no matter what our age we still hear our parents telling us to be good girls. At this stage we may even find our grown children telling us the same thing. No wonder dating is confusing and uncertain when you are a widow. I can’t give you any magic words of wisdom on this issue. Everyone has their own moral compass about what feels right to them. Take your time with a new relationship because dating too soon (and only you can judge that) may be nothing more than you trying to fill that emptiness in your heart. An important element in the rebuilding of your life is the process of learning to love yourself first. As you love yourself you will attract others to you. If you don’t love yourself, how can you expect anybody else to love you? Have faith in yourself because you are strong and loveable just as you are – this I know. Sometimes you just have to take a leap of faith if it feels right because otherwise you may miss the chance to have another great guy in your life. On the other side it can be easy to get mixed up with the wrong guy, so listen to your heart and be careful but not fearful. hello everyone! you know what i really wish there was available? dating for dummies the widow(er)s edition! after being married for 31 years ,ive tried dating with disatorous results lol! tried dating sites yikes! any way i find it very difficult to meet anyone at this stage of the game, i dont do the bar scene nor the clubs and frankly im at a loss to figure out if i even want to have a relationship! most women ive dated are so eager to go to the next level of commitment .it takes time to know someone! any way thanks for letting me vent!